Website Migration Behind an SSL - Does it Help Rankings? Website Migration Behind an SSL – Does it Help Rankings? You may have seen over the last few weeks that Google released an update which provides webmasters who put their websites behind an SSL certificate a ranking boost. If you haven’t seen the news based around website migration behind the HTTPS protocol, you can read the official statement here. It’s not surprising that companies worldwide are running special offers on SSL certificates and scaremongering webmasters into putting their site behind an SSL certificate without thinking about exactly what is required, but please do not jump into the process. Depending on your website, you potentially have quite a lot of work you will need to carry out before you can make the switch. We wrote an article on our blog about SEO concerns when moving to HTTPS. This outlines some of the points that webmasters should be aware of, prior to making the switch, so we won’t go into detail on these in this particular post! 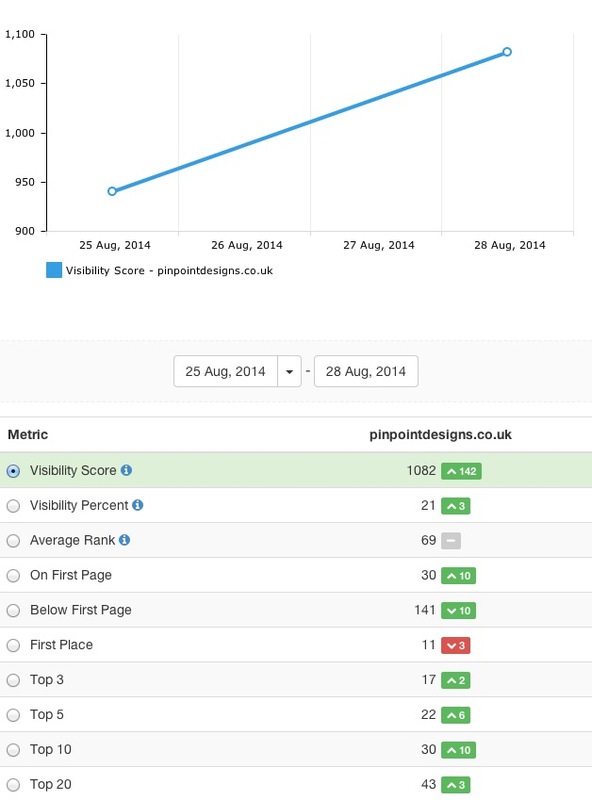 Some of you may have realized that our blog and website is now showing on https://www.pinpointdesigns.co.uk, as we decided to make the switch and see what the results were like. Check that all items across our main website are relative links along with any external files that are referenced. We also use WordPress for our blog so we had to update all of these links too. Setup Google Webmaster Tools for the new https:// website and submit the sitemaps. Success! 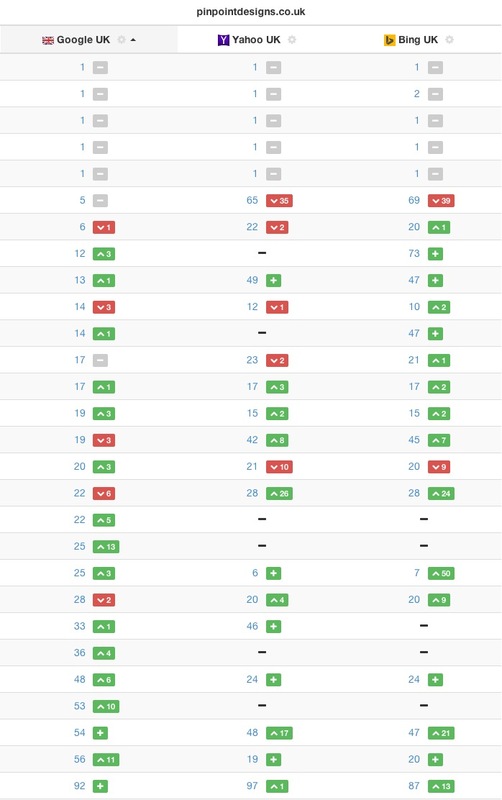 A large amount of our keywords (strangely enough from Yahoo and Bing too), both have received significant increases in the search engines in only 4 days after the website migration. In addition to this, the visibility metrics are also looking very positive compared to the previous week. No other significant changes were made to the site during this update. We’ve noticed in Webmaster tools that the number of pages indexed on our https:// website increasing daily, but the number of impressions is also stepping up greatly too. If you would like us to write a guide on website migration from HTTP to HTTPS, please comment on this post below. I would suggest that if you are going to carry out this type of work, you speak to a digital agency who are experienced in migration. Whilst some sites are fairly easy to migrate, there is a lot to consider with making quick decisions and planning is key to having a smooth transition. If you need help with this or are just interested in discussing this with us, please don’t hesitate to contact us. Author Lewis SellersPosted on September 10, 2014 September 28, 2016 2 Comments on Website Migration Behind an SSL – Does it Help Rankings? Hi lewis, thanks for the informative article, Could you please write a step by step guide on how to migrate from http to https in wordpress. as its the most widely used platform by bloggers and small business owners who have limited budget, so that they don’t have to pay higher fees to agencies for migration.